Today we released Showit Sites 1.1! Simply open up Showit Sites and it will automatically update itself. If you haven't already... download it for free and try it out. This update includes a bunch of new features that you guys have been asking for and we're excited for you guys to start using them in your sites. CUSTOM FONTS ARE FINALLY HERE! This has been one of our most highly requested features and we're proud to finally offer the ability to use your own customized fonts in your Showit Sites! To get started making your website even more customized... check out this PDF tutorial on how to make your custom fonts ready for Sites and the web. If Spanish is your native language then you might prefer to use Showit Sites that way as well. Inside Sites check out the menu: File -> Language. Rudy Arpia helped us out by translating all of Showit Sites into Spanish using the translation tool. 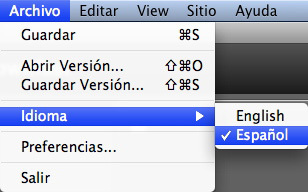 If you're interested in using Sites in your native language send us some feedback from the Help menu to let us know. And check out the translation tool located in the Help menu as well. We've been hard at work under the hood of Sites to implement an easy way to add widgets to your sites... and we're ready to roll! We've already added a couple of widgets to the Showit Library so be sure to check them out in the Flash area. The Timer widget allows you to auto-advance pages, which we've had a lot of requests for. Drop it on a style group and sit back and watch your pages automatically advance. Perfect for those full page galleries! The RSS Feed Reader does just what you think it would. Plug in the URL for the RSS feed on your blog and have your website keep up to date and directly link to the latest from your blog. These are just a few... with more on the way!! Got any other ideas or something you can't live without? Let us know in the comments. 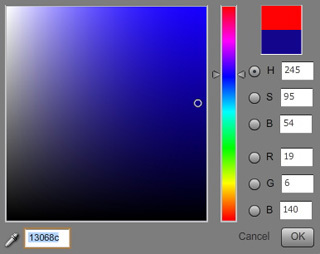 COLOR PICKER - There are a lot more colors to choose from now... and if you need to get just the right shade from a photo you just added... check out the new dropper tool! LAYER MENU - Check out the View menu to hide and show the layer menu... perfect for when your working on smaller layers. We hope you enjoy all the updates! You guys always amaze me with your commitment to fulfilling our ongoing demands. The custom fonts are a huge plus, but you totally wowed me with the Color Picker!! And of course, the RSS feed will come in handy. Thanks again, guys! I'm buying you all a drink at WPPI! It was a pleasure helping you guys with the Spanish translation... I know it will help a lot of people. Thank you guys for listening and for fulfilling our needs! password protected pages would be nice - for hosting private stuff like pricing info for clients, or having a spot where a client can log in and download files. I second ANDREAS for having a password capability. ANDREAS, you can achieve the spot for downloads with the tools available now. 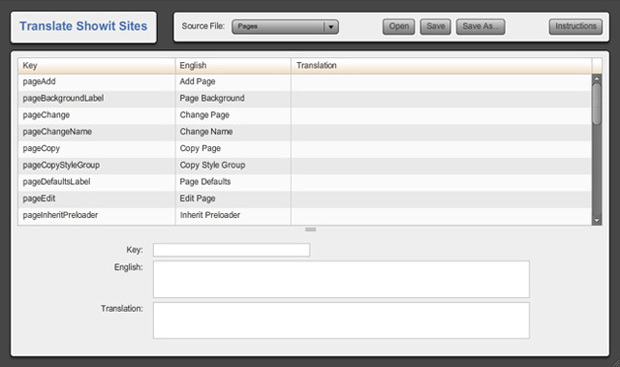 Simply create a new page that has the file(s) you want to make available for download. Then create another page (think of it as the front door to the download page) with a form requiring for example, an email address. You can then setup the Submit button to go to the download page. Not quite like a true password, but the client won't know. You will receive an email showing who it was that "logged in" to gain access to the download page. You can use a similar concept for the pricing page. Then at least you will know who is accessing it. Superb!! You guys ROCKS!!! All the best for you all! Other dreams would be integration with Smugmug, Pictage and Adobe Lightroom web-module. All of which have their place in a photographers workflow... a free and smooth web proofing, an inexpensive and newer proofing method with online ordering, and an older more expensive but popular proofing and online ordering solution. Other than that I really can't pick this solution apart any?! It is getting more and more solid all the time. Thanks for keeping at the hard work. Lets make our imagination our biggest limit. Don't know if it's already been said, but the ability to have clients and their friends/family leave comments for their lounge pages would be AWESOME! Seriously, you guys are amazing. I love the custom font feature as well as the timer. Excellent additions! I'd also like to extend some help to all of the photographers out who would like custom fonts for their Show It Site. 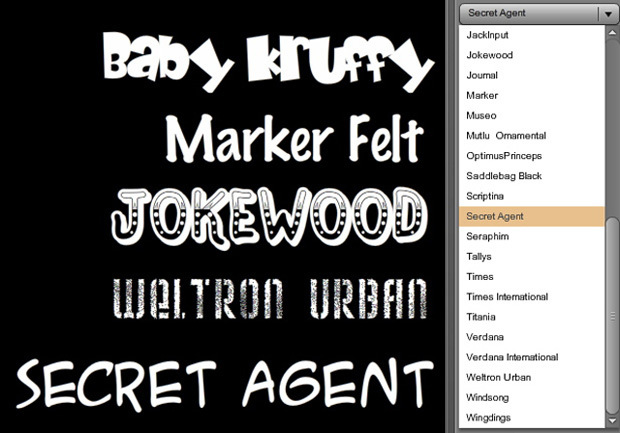 Custom fonts must be created in Flash CS3 or CS4. Most photographers don't own Flash CS3 or CS4. If you'd like me to create several custom fonts, I'd be glad to help. I'll create up to 5 custom fonts for your site. Just e-mail me at kent@lawrencekent.com and we'll work on getting your custom fonts completed. Love the timer widget and the RSS feed!! You guys rock. Copy what Dustin suggested in regards to "HTML snippets would be awesome. That way, I could embed my contact form from ShootQ directly into my contact page..."
Any thoughts on the ability to change Assets names in the library. Can this names be seen by search engines like alt tags ??? If you would like, I will translate the program to Hungarian language, for this I need an original English file.